Essensa.com.ph is a public-to-private web portal; most pages of which are accessible to the public sufers and some parts only accessible to Essensa Condominium unit owners and tenants through issued usernames and passwords. 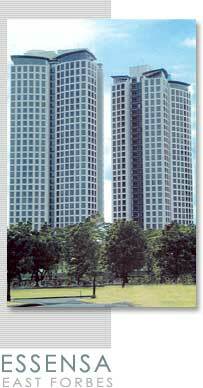 The Essensa website contains information about the Essensa Condominium, its features and services. The website serves the purpose of information dissemination and also as a convenience tool for the Essensa unit owners and tenants. You may use information from Essensa.com.ph for marketing or information dissemination purposes of its details, location, or services. ANY use of the website and any of its subpages, pictures, text or even the layout, that will infringe or will cause damage to Essensa.com.ph, the Essensa Condomium itself, the Essensa Condominium Association and its affiliates, unit owners and tenants will be held liable under Applicable Laws. No information is collected from users' computers through use of these cookies. Cookies are used only for login to restricted pages and Message Boards section of the website, and are not used in conjunction with any informational pages. 2) The Essensa.com.ph Webmaster requires Essensa Condominium Unit owners or tenants to submit, through email, their Whole name and Unit number, to have it validated by the Essensa Administrative Department so that the Webmaster can issue their Username and Password. We will NOT ask you for your password in any manner, in any case. The Message Boards section of the "Residents' Area" part of Essensa.com.ph serves as a communication tool for Essensa Unit owners and tenants wherein they can post personal messages, announcements. It is also a tool for the Administrative, Marketing and Sales departments to post annoucements like upcoming events or maintenance schedules. The Webmaster reserves the right to remove or alter posts that are intrusive and offensive to the unit owners, tenants, or administrators of Essensa and its affiliates. Copyright © 2004, Century Properties, Inc.. All rights reserved.